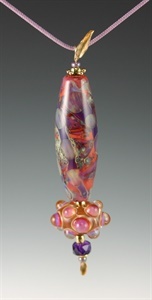 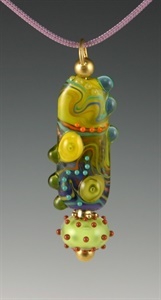 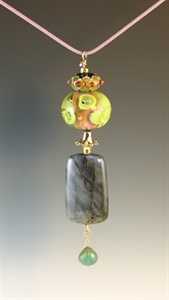 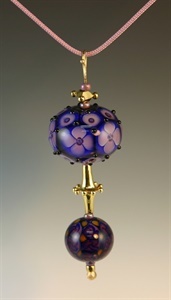 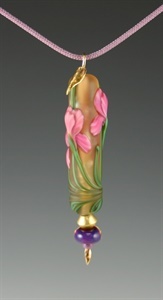 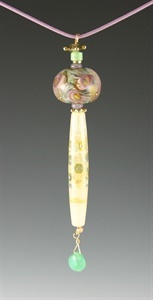 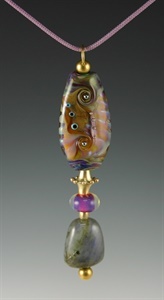 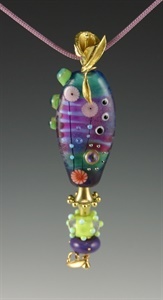 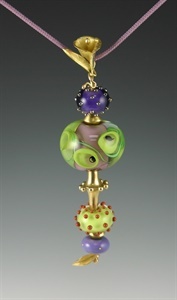 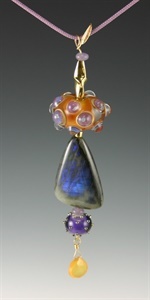 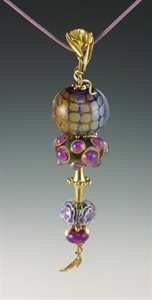 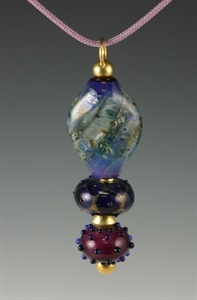 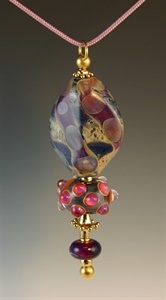 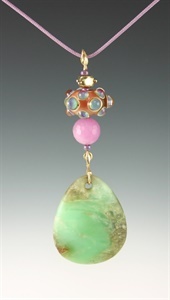 22k Gold, Handfabricated Pendants with Floral Motifs, Granulated Beads and Gemstones, and Lampwork Glass Beads. 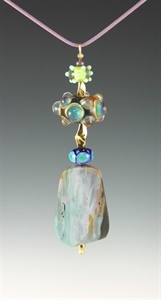 Lapidary work of Opal, Ruby, Spinel, Chalcedony, Jade and many other gemstones are also incorporated making this Pendant Collection unique and rare. 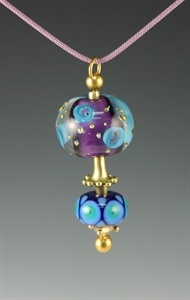 14k Gold Handcrafted Granulated Beads, Lampwork Beads by K.Logan with 14K Gold stem.